A charming one bedroom flat in a leafy location close to Hyde Park, with four underground stations right on your doorstep, including quick access to Heathrow via Paddington. This handsome home offers all modern conveniences including a separate washer and dryer, a printer and a king sized bed. We provide hotel quality linen and towels, fresh for each stay. It is located on the second floor of an attractive period terrace and the building has a lift. 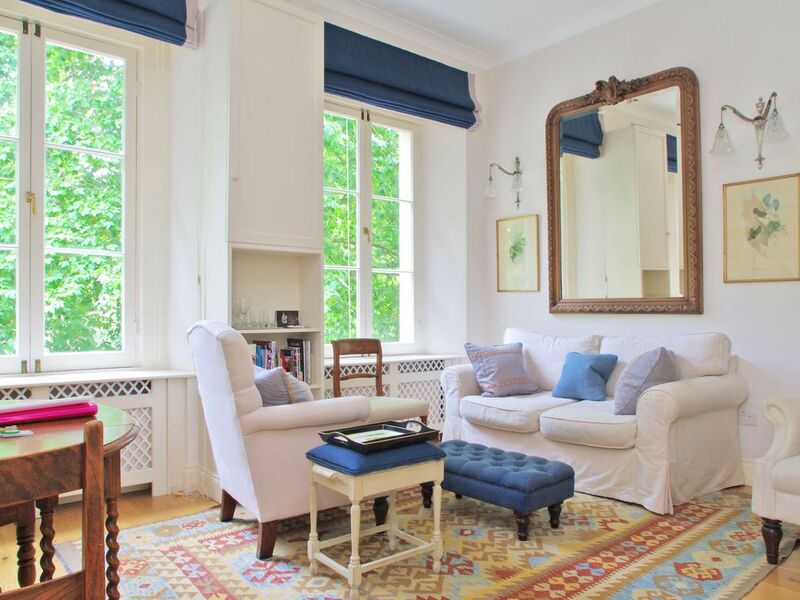 Lancaster Gate station is a five minute walk and Paddington is under ten minutes on foot. You are stumbling distance to the great green expanse of Kensington Gardens and Hyde Park. From here it is but a short distance to Oxford Street and Marylebone or, in the opposite direction, Notting Hill. This is a convenient location for the business or leisure traveller who wants to be in the urban centre but still have access to calm, quiet places. About Us: The London Agent is London based and London focused. We are a small but dedicated team with a wealth of experience on hand to ensure you find the perfect short term let during your stay in London. We want you to love this city as much as we do! We promise your trip will be fun, relaxing and as stress free as possible - at the very least! About you: The lead guest must be 21 years of age or older. Our immigration law requires us to obtain ID's for all occupants and we organise this before arrival. We cannot accommodated children here. All homes are non smoking. London based and London focused; The London Agent is your own local specialist at your service. We offer more than 25 years of short and long stay expertise, working with quality properties and offering first class Customer Service. Renting with us is simple and straightforward. Prior to, and throughout your stay we are available 24/7 for any questions at all that may arise. Don’t be shy, contact the team at The London Agent - Jane, Belinda, Jennifer and Sherry. We are a small, friendly team with an abundance of good ideas and London Know How. The living room is attractively decorated, but we did not like sharing the apartment with mice. The fan in the bathroom brings in some nasty fumes. The proximity to the Underground was very helpful. Hello Nancy and thank you for your feedback. Our older buildings all have problems with mice and they can make their way into flats. In addition to the usual deterrents - sonic device and mouse traps this entire flat has been mouse proofed by professional pest control people since your visit. We spent a week here February 2019. This is a cute, small, one bedroom apt with everything we needed. Including a W/D. It’s only 430 sq ft but it’s well laid out and fit us perfectly. There are mouse traps in the halls and when we left the bag of trash out overnight some critters gnawed on it but we never heard them or saw them. It did not detract from the enjoyment of the flat. Great location and everything you could want. The flat is in a nice location and the Bayswater area has been significantly renovated and upscaled over the years. Close to transport and easy access to the rest of London. The neighborhood is relatively quiet. Our biggest complaints are two fold. One being the kitchen. This is the tiniest little thing I've ever seen. You literally have to shut the door to the kitchen in order to open the fridge door and there is no way two people could even fit in it let alone cook together. The second was the property management company running the flat for the owner. When you make your final payment they send you a link to a web page that supposedly explains everything about the flat. Unfortunately the portion explaining the WiFi was wrong, giving an incorrect network ID to look for on your device. Days of calling back and forth with the management company failed to get anywhere until they finally came to visit and discovered the error. Lots of high tech, built in, equipment that was impossible to use and poorly explained in their documentation. All in all we would have been much better off in a hotel. Lesson learned - never do a flat stay unless their is an owner living on the property and available. Hello Walter, Thank you for taking the time to leave us feedback. The kitchen is indeed small but has everything you need including a small dishwasher. We do send everyone a digital property file so that they can familiarise themselves with a property well before they arrive. However, there is also a paper file in the flat and it lives on the dining table. Unfortunately you did not use it and I found it on the table underneath a pile of your personal items. I can see your were chatting with my colleague late afternoon because you believed the WiFi was not working. I was at the property the following morning, not days later. The Wifi connected instantly when I used the code that was in the property file. This was a special trip for my husband and me and this very comfortable and lovely home was perfect for us. The kitchen is not big but really fine for two people. The bathroom is a good size and this was important for us. We had a memorable visit to London, which was as busy and wonderful as always. Gracias a todo!